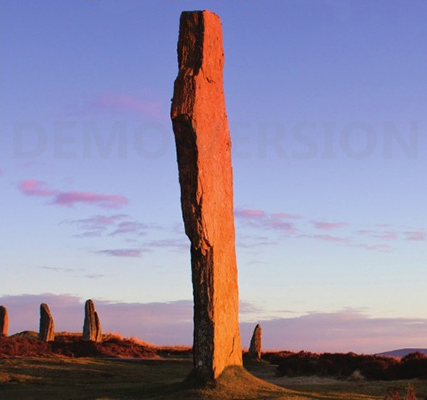 Stuart McHardy believes that there is evidence that Scotland’s history has been badly distorted. He will talk about Scotland’s Future History, Scotland’s Future Culture and The Wey Forrit for Scotland, and answer your questions. 11 March 2019 19.30 in the function room of the Clermiston Inn. All welcome! Author Bob GlenPosted on 20th October 2018 6th March 2019 Categories EventsTags history, Politics, ScotlandLeave a comment on Scotland’s Future History and The Wey Forrit: Mon 11 March 2019 19.30 Function room Clermiston Inn. As we campaign for independence, Yes supporters are increasingly concerned about how we get our message across in the face of a largely hostile mainstream media. For our meeting on 7th May, Yes Edinburgh West will be holding a workshop-style event to discuss ways to overcome this. 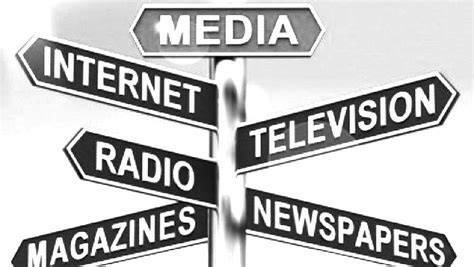 The subject will be “Media Platforms”, and the workshop will aim to explore what the various platforms are; how best to make use of them; and what actions participants would feel confident in taking themselves going forward. Theresa May is dragging the UK under. This time Scotland must cut the rope. Here is the question the people of Scotland will face in the next independence referendum: when England falls out of the boat like a block of concrete, do you want your foot tied to it? It would be foolish to deny that there are risks in leaving the United Kingdom. Scotland’s economy is weak, not least because it has failed to wean itself off North Sea oil. There are major questions, not yet resolved, about the currency it would use; its trading relationship with the rump of the UK; and its association with the European Union, which it’s likely to try to rejoin. But the risks of staying are as great or greater. Ministers are already trying to reconcile us to the possibility of falling out of the EU without a deal. If this happens, Britain would be the only one of the G20 nations without special access to EU trade – “a very destructive outcome leading to mutually assured damage for the EU and the UK”, according to the Commons foreign affairs committee. As the government has a weak hand, an obsession with past glories and an apparent yearning for a heroic gesture of self-destruction, this is not an unlikely result. On the eve of the first independence referendum, in September 2014, David Cameron exhorted the people of Scotland to ask themselves: “Will my family and I truly be better off by going it alone? Will we really be more safe and secure?” Thanks to his machinations, the probable answer is now: yes. In admonishing Scotland for seeking to protect itself from this chaos, the government applies a simple rule: whatever you say about Britain’s relationship with Europe, say the opposite about Scotland’s relationship with Britain. In her speech to the Scottish Conservatives’ spring conference, Theresa May observed that “one of the driving forces behind the union’s creation was the remorseless logic that greater economic strength and security come from being united”. She was talking about the UK, but the same remorseless logic applies to the EU. In this case, however, she believes that our strength and security will be enhanced by leaving. “Politics is not a game, and government is not a platform from which to pursue constitutional obsessions,” she stormed – to which you can only assent. 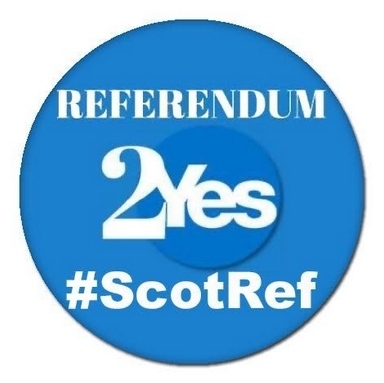 The frantic attempts by government and press to delegitimise the decision by the Scottish first minister, Nicola Sturgeon, to call for a second independence vote fall flat. Her party’s manifesto for the last Scottish election gives her an evident mandate: it would hold another referendum “if there is a significant and material change in the circumstances that prevailed in 2014, such as Scotland being taken out of the EU against our will”. Contrast this with May’s position. She has no mandate, from either the general election or the referendum, for leaving the single market and the European customs union. Her intransigence over these issues bends the Conservative manifesto’s pledge to “strengthen and improve devolution for each part of our United Kingdom”. Her failure to consult the governments of Scotland, Wales or Northern Ireland before unilaterally deciding that the UK would leave the single market, and her refusal to respond to the paper the Scottish government produced exploring possible options for a continued engagement with the EU after Brexit testify to a relationship characterised by paternalism and contempt. You can see the same attitude in the London-based newspapers. As the last referendum approached, they treated Scotland like an ungrateful servant. “What spoilt, selfish, childlike fools those Scots are … They simply don’t have a clue how lucky they are,” Melanie Reid sniffed in the Times. Now the charge is scheming opportunism. “We hope the Scottish people call Sturgeon out for her cynical, self-interested game-playing,” rages the Sun’s English edition. If you want to know what cynical, self-interested game-playing looks like, read the Sun’s Scottish edition. It says the opposite, contrasting the risks of independence with “the stick-on certainty of decades of Tory rule with nothing to soften it”, if Scotland remains within the UK. Whenever I visit Scotland, I’m reminded that Britain is politically dead from the neck down. South of the border, we tolerate repeated assaults on the commonweal. As the self-hating state destroys its own power to distribute wealth, support public services and protect the NHS from ruin; as it rips up the rules protecting workers, the living world, our food, water and the very air we breathe; as disabled people are pushed off a cliff and poor people are evicted from their homes, we stand and stare. As the trade minister colludes with the dark money network on both sides of the Atlantic, threatening much that remains, we shake our heads then turn away. Sure, there are some protests. There is plenty of dissent on social media; but our response is pathetic in comparison with the scale of what we face. The Labour opposition is divided, directionless and currently completely useless. But north of the border politics is everywhere, charged with hope, anger and a fierce desire for change. Again and again, this change is thwarted by the dead weight of Westminster. Who would remain tethered to this block, especially as the boat begins to list? Scotland could wait to find out what happens after Brexit, though it is hard to see any likely outcome other than more of this and worse. Or it could cut the rope, pull itself back into the boat, and sail towards a hopeful if uncertain future. Author Bob GlenPosted on 15th March 2018 15th March 2018 Categories BlogsTags Independence, Politics, Scotland, UKLeave a comment on Theresa May is dragging the UK under. This time Scotland must cut the rope. A panel of 3 speakers from the SSP (Hugh Cullen), Greens (Maggie Chapman) and unaffiliated to any party (Bob Murray) will give their views on “How we can win our Independence” and answer your questions. All welcome! Function room of the Newliston Arms, 78-82 Main Street, Kirkliston EH29 9AB. Audrey Birt will speak on “How to speak about independence in the future” and answer your questions. All welcome! Function room of the Newliston Arms, 78-82 Main Street, Kirkliston EH29 9AB. 1. Anne Donohoe opened the meeting by welcoming everybody, and introduced our speakers, John Bratton and Ross Grahame on the subject of Independence for young and old. 2. A Livestream is available for people who couldn’t make the meeting. 1. Ian Grant opened the meeting by welcoming everybody, and introduced our speakers, Michelle Thomson and Roger Mullin on the subject of Brexit: what might it mean for business in Scotland? We’ve got 180 #ScotRef stickers! Author Bob GlenPosted on 22nd March 2017 Categories BlogsTags #ScotRef, badges, Scotland, YesLeave a comment on We’ve got 180 #ScotRef stickers!